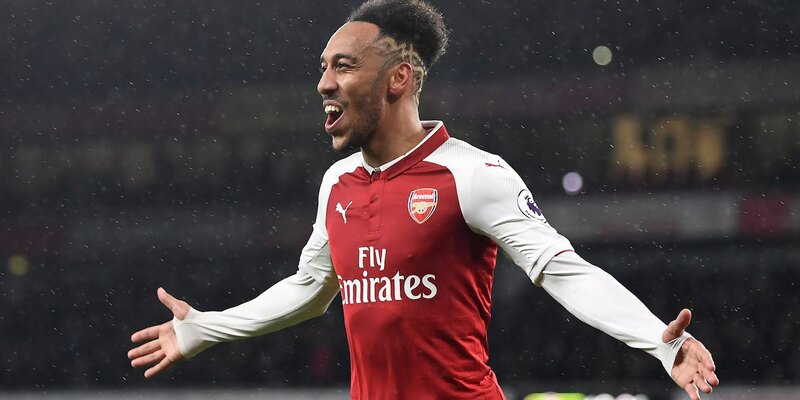 Pierre-Emerick Aubameyang scored his 25th Premier League goal for Arsenal this week, making him the fastest player to reach that total in the club’s history. As we all hope he might add to that tally when we face Man City at the Etihad today, let’s have a look back at all those goals. can’t agree. he scores consistently, but he misses lots of chances and his overall game – well, he mainly scores goals. by all means i’m glad we have him and i’m happy with his contribution, he’s doing well, but i think lacazette’s the more unrecognized one. Class striker, we’re still waiting for him to hit 100% , his not there yet, and we’re not helping him. Having problems with creativity and lack of width with absence of any quality wingers. All the creative burden is on the full backs or the strikers themselves. Quite a few with Bellerin somehow involved – his injury is a real blow. Our wingbacks are a real threat. Best striker we’ve had for some time, and we have Laca too. Not too shabby. I agree. We are well stocked in attack now. I still miss Giroud though and we need a replacement for Wellbeck come the summer. We bought him to score goals and that’s exactly what he does. He scored 25 in 37 appearances if I’m not mistaken which is class. Sure, he’s missed some sitters but he’s mostly been a bright light in these pretty dark times. I know that football didn’t exist before 1992/93 and that there’s no doubting the marvellous achievement of Aubameyang, but I think it’s worth noting the Ted Drake scored 25 league goals off of only 16 games, whilst wearing hob nailed boots and playing on a ploughed field kicking and heading a medicine ball. Yes, I know that, fair comment, but it just irritates me how our past is so easily disregarded with the narrative that is driven by Sky, BT and the Prem, you know, ‘the greatest in our history’ etc. Aubameyang is brilliant, but he’s the best of the modern era.